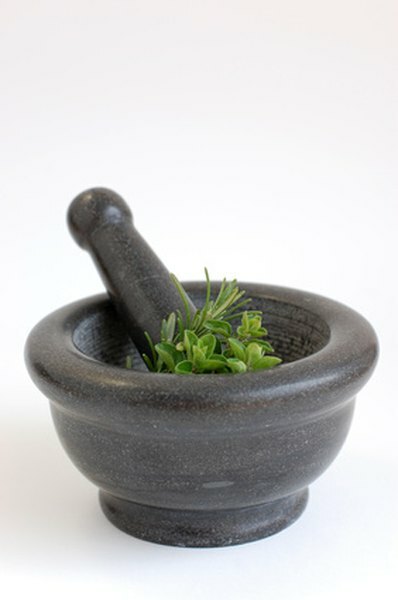 According to Healthguidance.org, wild oregano oil contains antioxidant, anti-microbial and anti-inflammatory properties used to treat various ailments, such as bacterial and fungal infections. Extracted from the leaves of the wild oregano plant, the essential oil is believed to have numerous health benefits. The two varieties of wild oregano that provide health benefits are Thymus capitatus and Origanum vulgare. Wild oregano oil can be used internally and externally by most people. Those with allergies or women who are pregnant or nursing should consult a physician before use. Organicfacts.net recommends using wild oregano oil internally or externally to prevent and treat both skin and blood-borne fungal infections. Carvacrol is a powerful anti-microbial in wild oregano oil that fights bacteria such as candida, salmonella, listeria and staphylococcus. For topical infections, apply a few drops of oil directly to the skin to treat fungus on the nails, head or other body part once or twice daily. Take wild oregano oil internally to fight yeast infections. Most essential oils need to be diluted before using on skin. Use as directed. Those who suffer from toothaches or gum disorders can benefit from using wild oregano oil. Wild oregano oil contains thymol, the active ingredient in some mouthwashes, which has antiseptic qualities that can reduce the pain of a toothache and preventing tissue damage, according to Natural News. Gently massage oil into gums around the infected tooth or use a drop of diluted oregano oil when brushing teeth instead of toothpaste. Wild oregano oil treats digestive conditions such as parasites, ulcers, food poisoning and bacterial infections. Taking capsules or diluted wild oregano oil by mouth can ease even mild indigestion. Because wild oregano oil is an antioxidant, it stimulates bile and aids in the process of digestion, according to Healingnaturallybybee.com. When stomach problems occur, take three to seven drops of oil mixed with 1 to 2 tsp. extra virgin olive oil during or after meals. Some bouts of food poisoning may require a stronger dose. According to the Oregano Oil Health Benefits website, wild oregano oil contains rosmarinic acid and carvacrol, which have anti-inflammatory properties that may provide treatment for seasonal allergies and relieve symptoms such as itching, sneezing and congestion. Wild oregano oil can be ingested when diluted with juice or water or dabbed under the nose for relief. While wild oregano oil may relieve allergies in some people, there is a possibility of allergic reaction. Consult a physician before using wild oregano oil while on other allergy medications.